WP offers a variety of high efficiency fans for small and large air volumes and various dust and air handling applications. 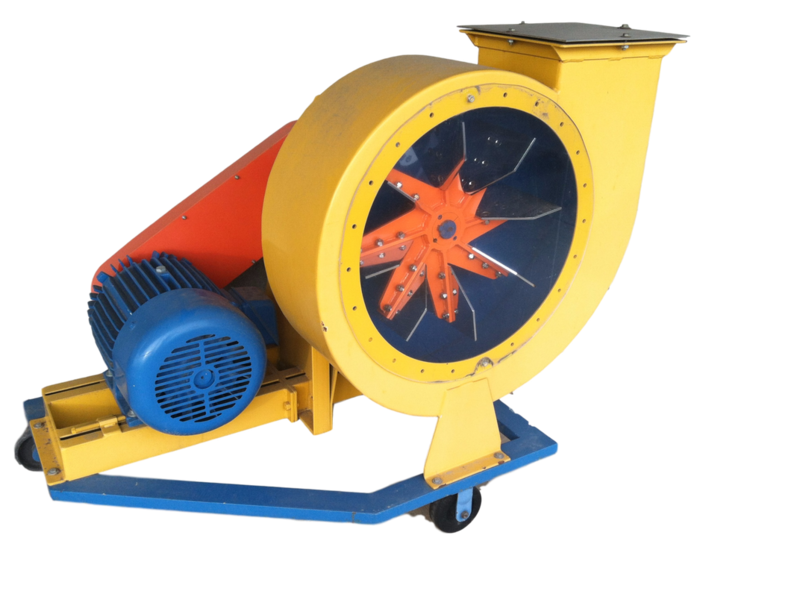 A straight paddle wheel fan is designed to handle both air and material. The fan wheel can be manufactured with various abrasion resistant metals. We offer fans to suit a full range of air volumes and static pressures. Straight radial paddle wheel fans are less energy efficient than the backward curved fans. Backward curved blade designs allow the fan to be placed in the dust stream or after a filter in a clean air stream. Wheel design and lower RPM's make for lower noise levels. High efficiency fans will greatly reduce horsepower consumption and utilities are willing to help pay for the replacement of old fans with these new energy efficient fans. 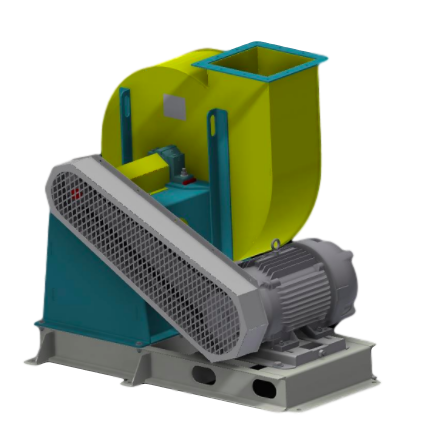 High efficiency dust handling fans are widely used after cyclones and prior to filters. The air stream can contain dust and that dust will not build up on the back side of the fan blades like it does for backward curved fans. The fan wheel is radial in design and is self cleaning.